Michigan State won a share of the Big Ten regular season before moving on to win its conference tournament Sunday. It did so while completing a three-game sweep of rival Michigan — its toughest opponent in the conference — and putting together a résumé worthy of consideration for a No. 1 seed. Instead, the NCAA tournament selection committee slated the Spartans with a No. 2 seed. Not only did they get a No. 2 seed, but they got the toughest draw of the twos, appearing opposite Duke in the East region. This left much of Spartan nation incensed. And the leader of the pack? Head coach Tom Izzo. There were valid arguments against Michigan State as a candidate for a No. 1 seed. At the very least, though, Sparty wasn’t the worst of the 2s. It was sixth on the committee’s 1-through-68 master list. That list, when applied to bracketing, is also known as the S-Curve, because of the way it theoretically snakes through a region-by-region, columnized breakdown of the field. The best of the No. 2 seeds should be placed in a region with the worst of the 1s; the second-best No. 2 with the second-worst No. 1; and so on. Izzo: "This team has been through adversity all year, another curve has been thrown. Unfortunately it’s not the S curve." The night before, after learning of the draw, Izzo didn’t have the zingers he had Monday morning. But he certainly wasn’t pleased then, either. Disrespect for the Big Ten? Izzo went on to express concern about the perception of the Big Ten in the selection committee’s eyes. 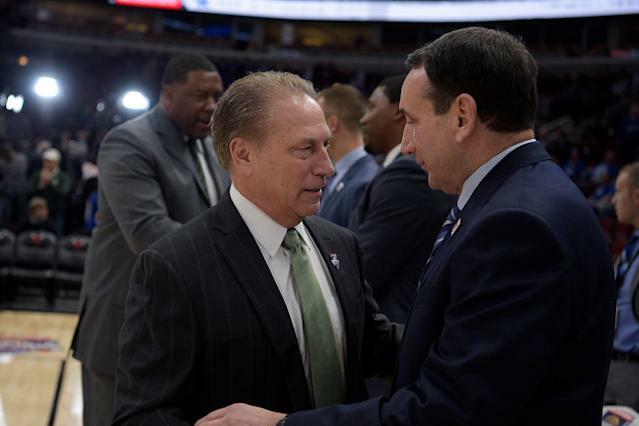 Michigan State won the Big Ten tournament championship game over Michigan Sunday in a matchup that ended just minutes before the NCAA bracket was revealed. It presented a timing concern — as it does every year — that the selection committee is forced to ignore the result of the game because there’s no time to adjust. Does Big Ten tournament matter? 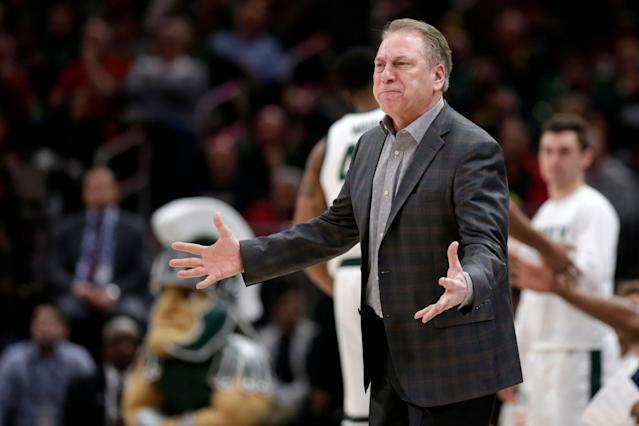 Izzo’s insistence that the Big Ten is the toughest conference in the country would certainly raise eyebrows from an ACC that claimed three of the tournament’s four No. 1 seeds. But the Big Ten is tough. And Michigan State deserved better than what it got. Should the Spartans have received a No. 1 seed? This is not to say that the Spartans should have clearly received a No. 1 seed. The difference in résumés among the last No. 1 seeds and the No. 2 seeds was so marginal that a reasonable case could be made for any of those teams to receive top-line honors. Had the Spartans not lost three times to Illinois and Indiana teams that didn’t make the tournament, this wouldn’t be a debate on Selection Sunday. They would be on the top line. But they didn’t, and they’re not. And that’s fine. But what’s not fine — as Yahoo Sports’ Jeff Eisenberg points out — is that Michigan received a more favorable draw than Michigan State. The Spartans finished ahead of the Wolverines in the regular season, swept them and beat them for the tournament championship. They shouldn’t be slated to face the overwhelming tournament favorite before the Final Four while fellow No. 2 seed Michigan draws Gonzaga. Izzo and Spartans fans should be upset about that. But there’s nothing to be done now. As for the Big Ten tournament concerns Izzo expressed, there is action that can be taken there moving forward. Maybe it’s time for the conference to move its championship game to Saturday.